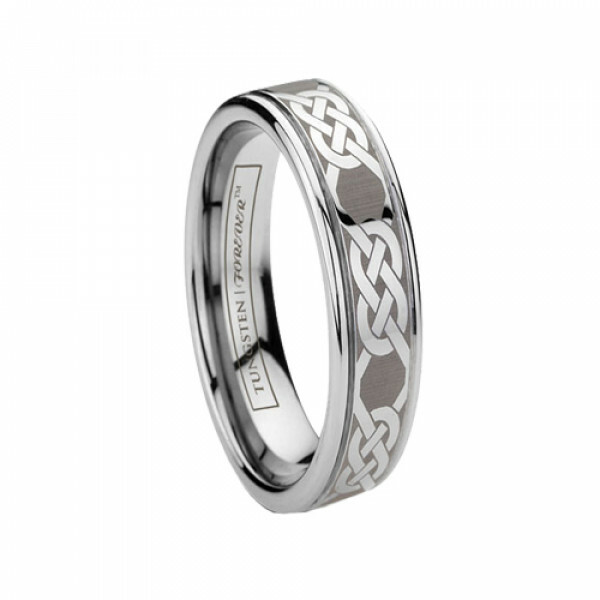 A 6mm version of our laser engraved tungsten GAELIC design, this classic width is perfect for ladies’ fingers and those wanting a slim wedding band. 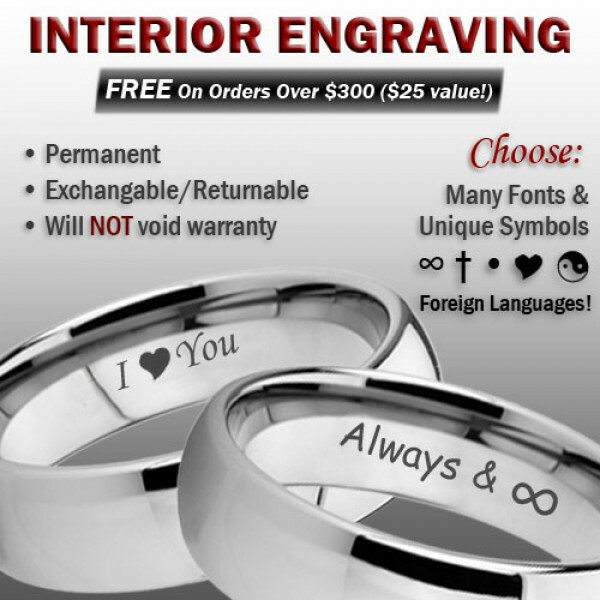 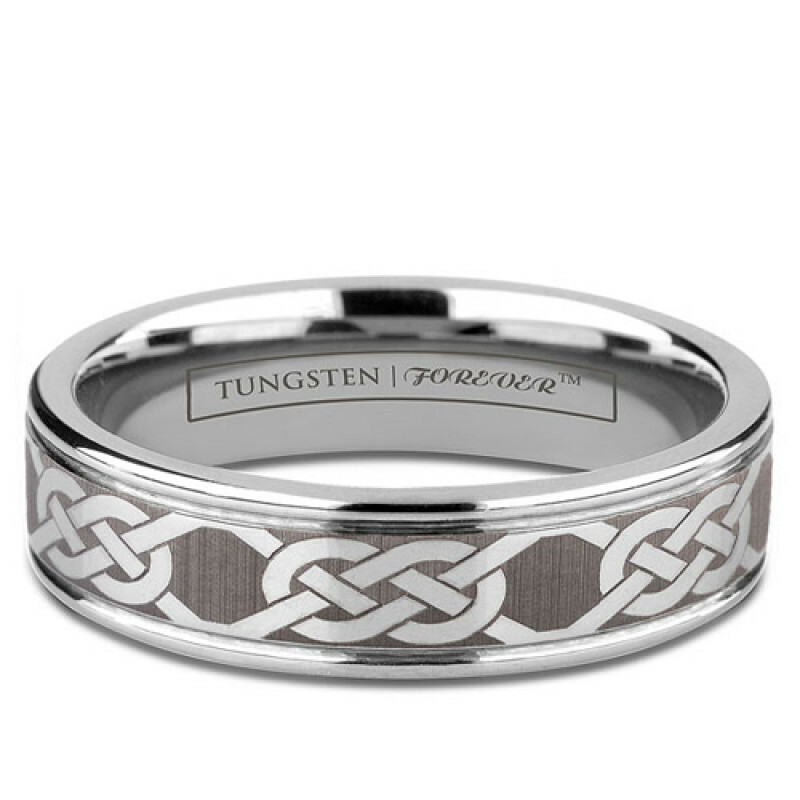 An endless knot design wraps the full circumference of the durable tungsten carbide band. 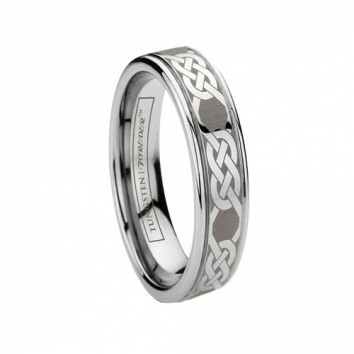 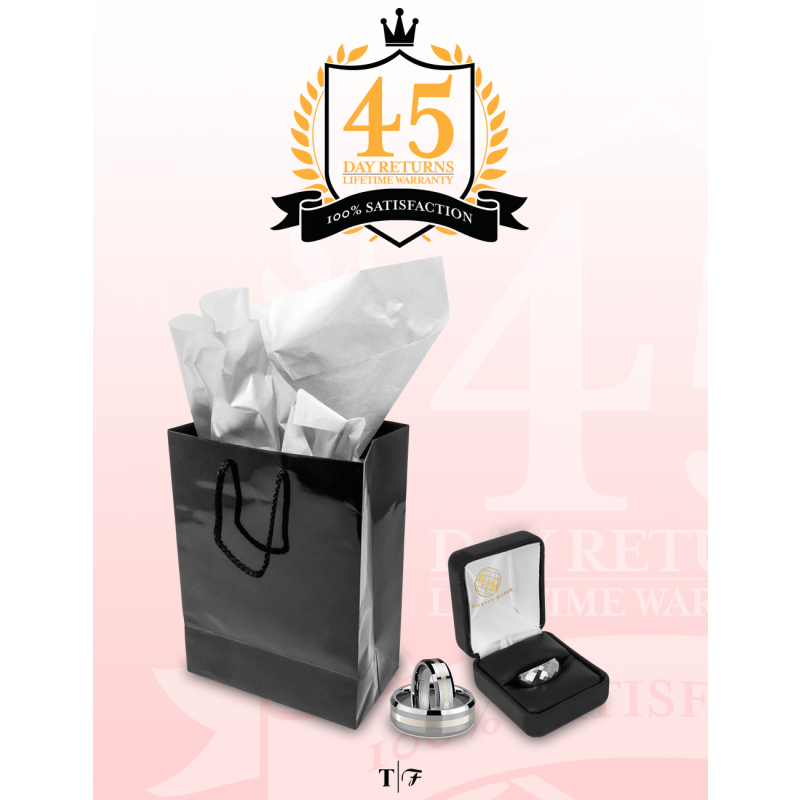 Polished grooves frame the woven pattern perfectly showcasing the traditional Irish symbol of true love.